Worm Run comes out TOMRORROW! 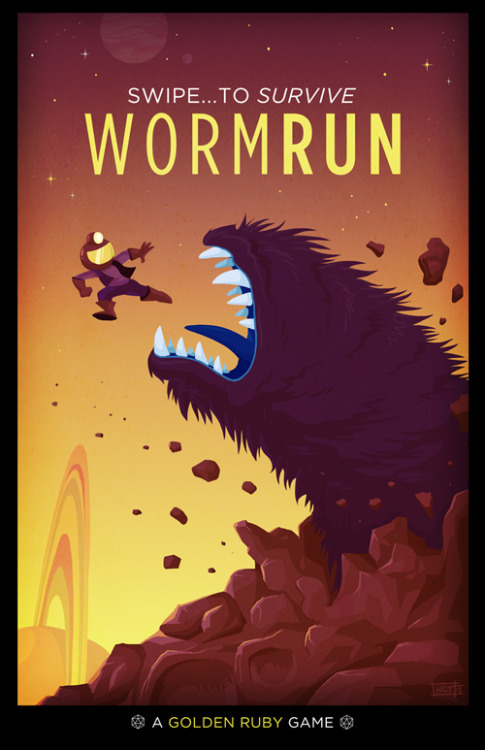 Just to let you all know, we plan on releasing Worm Run on February 21st! Be sure to check your iDevices next Thursday for your free copy. Thank you all. You've helped us tremendously in this last month. Worm Run no longer just our game, but all of yours. We just wanted to say thank you all who came to our showcase show. We all had a blast and were excited to show off Worm Run. We wanted to announce the addition of a new $35 prize, a one of a kind, high-quality print by our very good friend, Caldwell Tanner. After one week of fundraising, we're well on our way to our goal. More than halfway we hope to get closer in the coming days. A big thank you to all who have donated! In less than a week, we are now more than half way to our goal of $3,200. As we close doors for today at Golden Ruby, we just wanted to say thank you to everyone who donated within the first 5 hours of the project launching. Within 3 minutes of launching we had our very first backer for $1.